Capturing a person’s eyes is what is most important for Katy. For her, eyes are the gateway to the soul. “When I look into people’s eyes I think I can understand them and relate to their stories.” Katy’s paintings of nostalgic village homes or colourful landscapes express both strong emotion and great tranquility and compliment her often melancholic portraits. 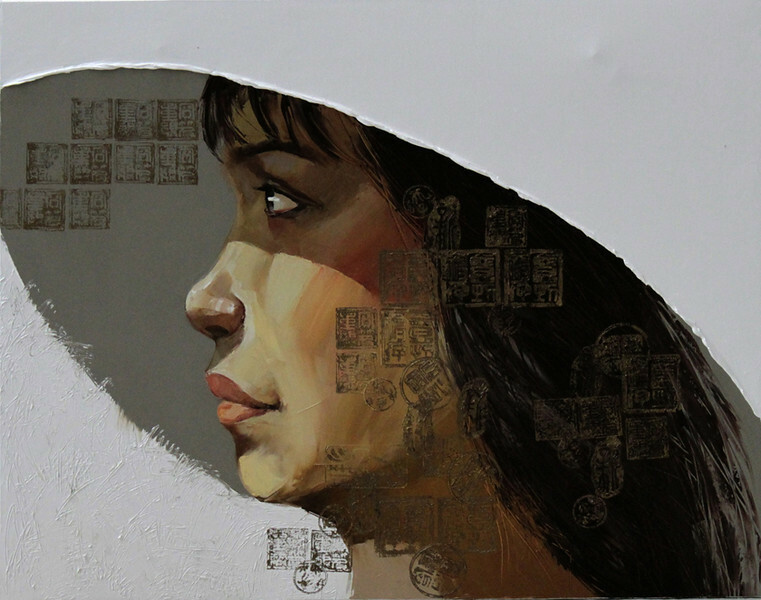 Lim Khim Katy, Shadow, 2010. Oil on canvas, 39 X 31 in.